TECHIEGEMS (copyright by Carolyn Rhodes): The story of Silent Pocket, off the grid... Is CROWDFUNDING for you? 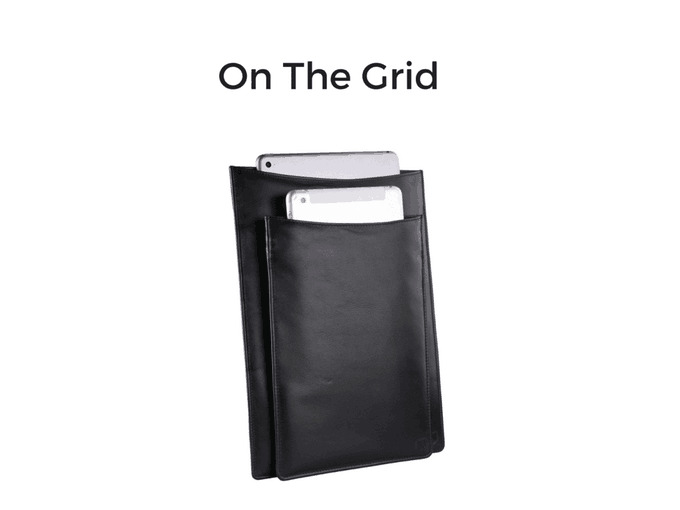 The story of Silent Pocket, off the grid... Is CROWDFUNDING for you? Follow the video for a comprehensive look at Silent Pocket. Co-founder, Aaron Zar, explains it all in his crowdfunding campaign and is looking for backers. I met Aaron Zar at International CES 2015 in Las Vegas. He was an exhibitor there, one of many in a vast sea of hopeful entrepreneurs and well established businesses. There were 176,000 attendees at this trade . It takes planning and trekking throughout Vegas hotels and the conference center to meet up with hundreds of exhibitors. But, there isn't enough time to visit all. Aaron's leather goods caught my eye on the final day, Friday. Don't I need a new wallet, I asked myself. Yes, but his product, while it was well made leather wallet, turned out to be more than "just" a wallet. 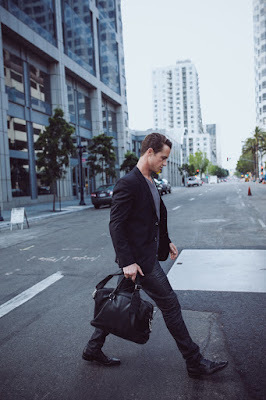 Mr. Zar immediately engaged me in conversation and asked if perhaps I could write an article about Silent Pocket and the significance his leather goods and their security benefits. He gave me a compact leather wallet and asked that I give him a review on it. He suggested that no hackers would be stealing my information any time soon. with his products. So far, so good . I do a lot of travelling and use my cards frequently. I had no idea all the ways your personal information can be stolen, but, the hackers are one step ahead on the public. But Silent Pocket seems to be a step ahead of the hackers. So I've had good luck. Why not take a look at their products? Nowadays, we are using our credit cards, I phones and androids to pay for goods in many different ways.. And, we must insure that our information isn't picked up by the person behind us on line anywhere or while using our devices for payments - with all of our personal and business information. Protected and "off the grid," is how Silent Pocket products can keep us safer. After some correspondence with Aaron, he tells me that his father, Randy, developed a small faraday cage for cell phones circa 1990s made out of metal coated flexible fabric. . It didn't take long for his Dad to realize the potential of anything with an electronic signal has a negative aspect to it. That was until 2009. Soon enough a new product line was developed in Silent Pocket offering more privacy and security than ever before. And it stays within the family. In 2012, Aaron Zar took over operations and brought the product to market. And they are still improving the security features with Pat Pending in 2015. Recently, Silent Pocket launched on kickstarter.com, a crowdfunder. What is a crowdfunding you ask? How about it's all funding in different ways. Is it right for your business? You must really read INC Magazine to find the details. .
INC. Magazine has the Playbook if you are a serious business like Silent Pocket and other professionals I have researched on the kickstarter website. It contains the already famous business owners to the less established businesses with a plan in hopes one may back them, or donate. There are categories in the Playbook, explaining essentials in "The Essential Guide to Crowdfunding." Hey, it's complicating which area will be your route, if any. The categories introduce in detail with great illustrations the following: Donations, GoFundMe, Equity and Rewards. Read the Playbook carefully before getting your feet wet and have a game plan. As the writer of tech news, I'm passing along the information on crowdfunding -- Aaron Zar's marketing strategy which is gaining backers on kickstarter.com. Super info for today's world. Be safe, secure all your info and credit cards! Zar should be on Shark Tank before the sun sets today! Crowdfunding campaigns to help you decide if your business is in the right place to look more closely at this approach to fundraising.